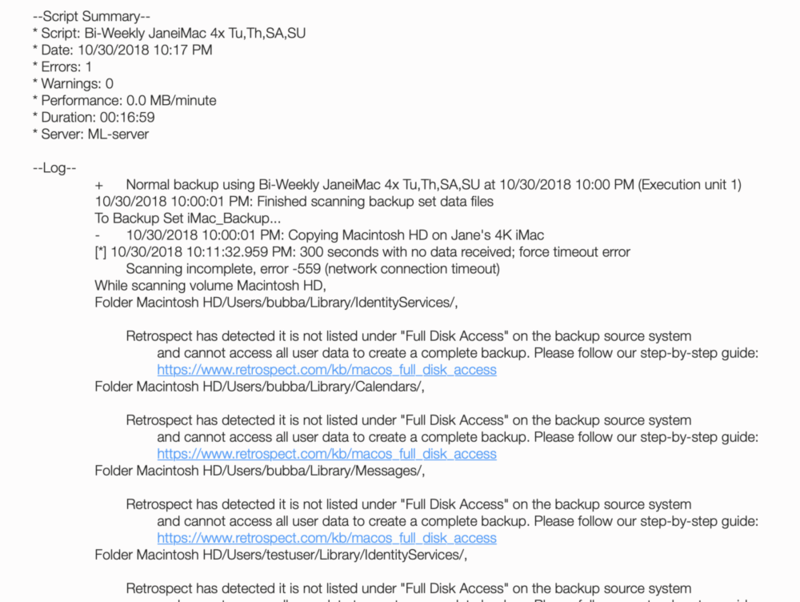 The Retro Backup of that client fails with errors. (expected). Client version is 15.6.0 (125). You can work around this condition by turning off the client manually and then on again. Whereupon the client is once again "Ready for Backup". Then you can initiate the script. After Scanning process, Client sleeps and a (-519 Network Communication) error results. This setting works for other clients (MBP). So this would be unexpected. 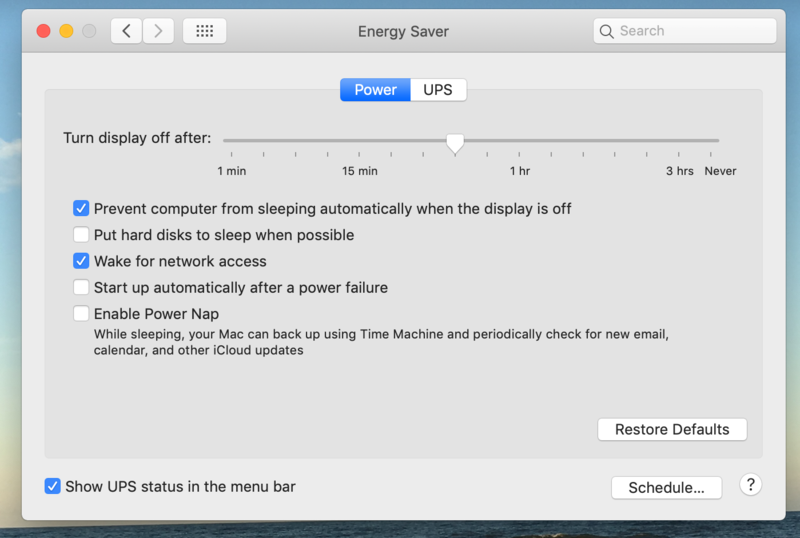 May I respectfully suggest that the Client reset itself when these setting have been detected and in some other way simplify the notifications to avoid the above as issues if you don't get to the settings updates required by Mojave security before a backup starts. Maybe provide a way to reduce the multiple error warning emails and set up the client so it functions during sleeping the display in Mojave? ?